Looking to sneak in a cheap trip to Dublin for St. Patrick’s Day? Want to drink some Guinness in a Real, Proper Irish pub? Irish travel doesn’t have to cost an arm and a leg! 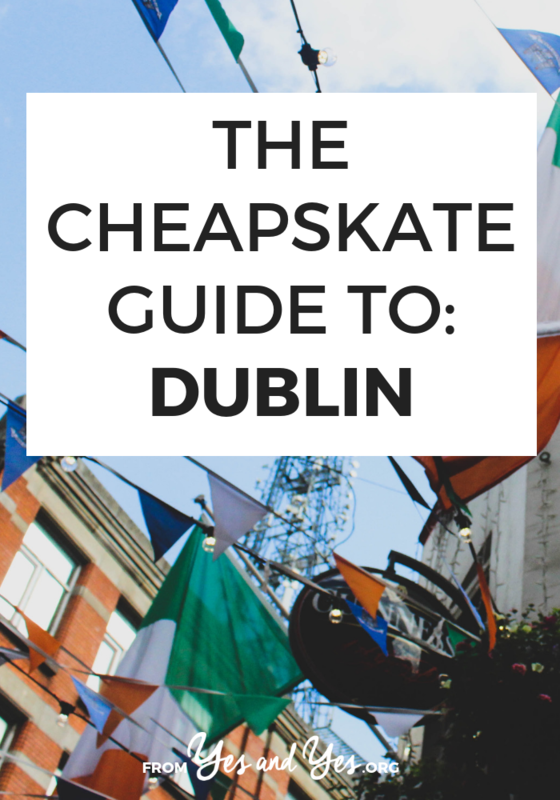 I brought in a local to tell share all the best, cheapest stuff around Dublin! Hi, I’m Sharon and I’m a clinical pharmacist (noooo, don’t fall asleep, it’s interesting, I swear!). I graduated from college in Dublin in 2007, but have only recently made my way back to work in the city. It’s very different living here in my 30s compared to when I was a student! Dublin is a tourist hotspot and has a reputation for being expensive, but you can still find plenty to do for free or cheap in this vibrant city. 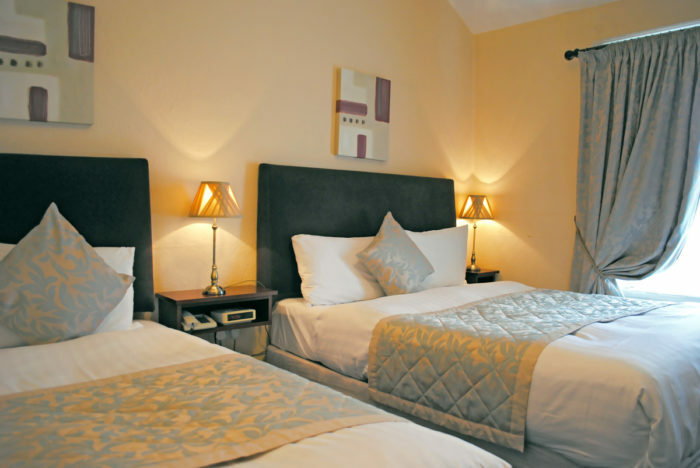 There’s no way around it, Dublin’s accommodation is expensive. A group would probably get the best value from a private room in a hostel or a self-catering apartment, but there is value to be had for solo travellers too. This popular hostel is in a great location, right beside the red Luas (tram) line and within walking distance of the main city thoroughfares. Smithfield Square often hosts cultural events and festivals too. If you can handle a large dorm room, the price drops as low as $15. 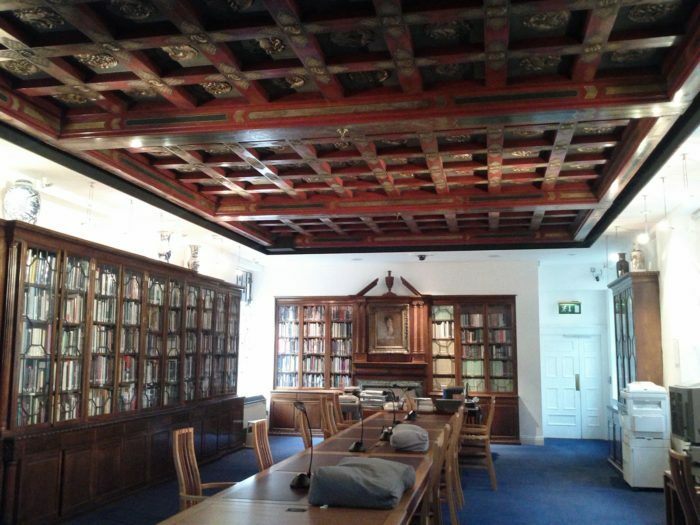 If you have a taste for period dramas, you might enjoy a stay in this listed Georgian building in the city centre. Never fear, despite the age of the building, there is free wifi. An extra €7 ($8) will get you a traditional Irish breakfast, which I find makes lunch unnecessary! If you want to be right in the middle of things, an apartment just off the Liffey quays at Bachelor’s Walk would be ideal. I will fight you for this gorgeous cottage north of the river in hipster Stoneybatter. A bit more expensive, yes, but it sleeps up to four people. Alternatively, you could check out a garden-level apartment in a Georgian house in leafy Ranelagh. This village is a little further away from the main tourist sights, south of the Grand Canal, but it’s a lovely, quiet area, and you will be spoiled for choice of restaurants and bars. For a bit more space for your money, you could head further out of the city centre to a place in the suburbs like this cozy-looking Castleknock one-bed apartment, close to bus and train services. In general, lunch is much cheaper than dinner. And if you want good quality food at a decent price point, don’t eat in tourist hotspots like Templebar. Don’t go anywhere with laminated menus in multiple languages. But if you’ve been reading Sarah’s articles for a while, you already know that, right? 😉 Standard tipping in Ireland is 10% (but be nice and round up!). Even the fanciest restaurants usually have an early bird or pre-theatre menu (often $20-$30 for three courses) but the times and days it’s available vary a lot, so if there’s somewhere in particular you want to try out, check their website first. It’s a good way to experience a nice place on a budget. YOU DO NOT NEED A LARGE PLATE. You will look at the plate sizes in the Abbey St branch and think, ‘hmm, I’m pretty hungry’, but they pile the food on there like you wouldn’t believe. I have never finished a regular plate ($10), so if you plan on moving afterwards, go for a small or split a regular. The building is a Hare Krishna temple, so the daily specials are usually Indian stews and rice dishes, always vegetarian, with vegan options. Should you find yourself on the southside, there’s a second branch on Aungier St. This pub is featured in the Lonely Planet, so I was wary of including it, but I used to eat there a lot in college so I know it’s good. A traditional Irish breakfast has bacon, sausage, eggs, black and white pudding* and then people argue about the other ingredients, but O’Neill’s just throws them all in – tomato, mushrooms, beans and potato cake. If that seems like too much pork in one go, there’s a mini version too, or try a carvery dinner. *Pudding is a type of pork sausage involving blood, suet and oats. Don’t freak out! As a person who rarely eats meat, I can still highly recommend it. I prefer the black one, try both and see what you think! This Wexford St institution opens until 4am Friday and Saturday nights to cater to the crowds of people being ushered out of bars, clubs and music venues in the area and looking for some soakage. But any time is a good time to try their completely customisable burritos/tacos/quesadillas. 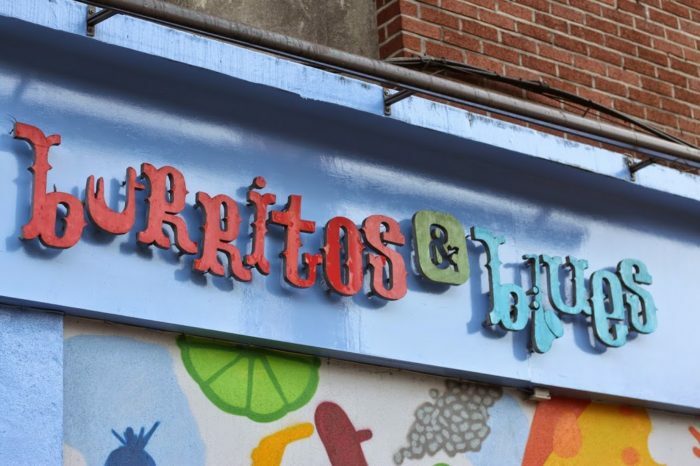 On Mondays all burritos are €5 ($6) all day if you want to save a little extra! As a bonus, they’re strong on gluten free options. If you want to skip straight to dessert, this home-grown chain is springing up branches everywhere. I’d recommend the Dun Laoghaire branch on a Sunday, so you can take a walk through the huge food market in the People’s Park while you’re there. (Walking the pier is also quite the photo op, with fishing boats and a sailing school, and you’ll more than likely see some seals too). But I digress! Scrumdiddly’s will make you a sundae with any combo of ice cream and toppings you want, or try one of their menu options like the Rocky Road (two kinds of ice cream, whipped cream, Oreos, rocky road, marshmallows and chocolate sauce!). They also serve milkshakes, crepes and waffles. The first thing you should do when you hit Dublin is check out the Dublin Event Guide. This is an exhaustive list of free events issued weekly by a German expat on a completely voluntary basis. It includes everything from markets and car boot sales to gallery open nights and children’s art workshops. There may be a few events included which are not completely free so read carefully, but it’s always my go-to for finding something to do. The good news is all of Ireland’s National Museums have free admission and three of them are in Dublin. 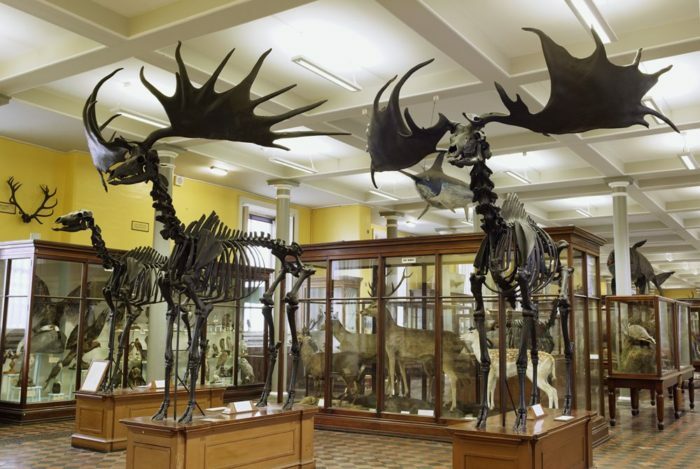 The Natural History Museum on Merrion St (known locally as the Dead Zoo) is probably the most popular with locals but they’re all pretty great. I highly recommend checking out the Kingship & Sacrifice exhibition at the Archaeology Museum in Kildare St – it tells the story of the 2000-year old remains of Iron Age people found preserved in peat bogs. Side note – the main collection at the National Gallery is also free but there is a charge for special exhibitions (usually the fun stuff like this year’s Caravaggio and Vermeer). However, there is a discount on the late-opening Thursday evenings. Their homepage says they are ‘described by the Lonely Planet as not just the best museum in Dublin, but one of the best in Europe’. What more is there to say? Sir Alfred Chester Beatty left an amazing collection of art and artefacts from around the world, only a fraction of which is on display at any one time. The city centre has some really great parks, and when the weather allows, we like to make the most of them. St. Stephen’s Green is popular, and very pretty, but often busy with business people eating lunch. Try the nearby Merrion Square or Iveagh Gardens instead. They both have a great sense of quiet and calm. Merrion Square is probably best known for its Oscar Wilde statue, while Iveagh Gardens is more formal. If you really want to get a sense of space, Phoenix Park to the west of the city is the largest enclosed public park in any capital city in Europe. It’s home to Dublin Zoo (unfortunately quite expensive), the US Ambassador’s residence, and our president’s residence, Áras an Uachtaráin. There’s also a visitor’s centre with free tours, some restored Victorian gardens, a castle, a fort only recently opened to the public, and did I mention the herd of wild deer? You could easily spend a whole day here, so you might want to rent a bike ($6 for 1 hour or $18 for the day). 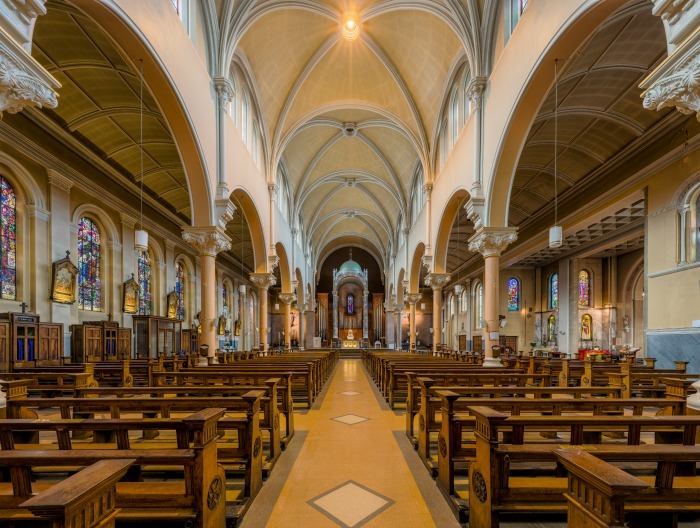 Dublin has a wealth of churches and cathedrals of various ages and denominations. Your guidebook might suggest Christchurch and St. Patrick’s, but they do charge an admission fee. The Carmelite church on Whitefriar St does not operate as a tourist attraction, so bear in mind that it’s a place of worship when you visit. The stained glass windows are beautiful, and it has some really unusual shrines. If your sense of romance leans towards the gothic, you might like to see the shrine to St. Valentine which houses some of his remains. Personally, I love nothing better than rummaging through a market at the weekend, and Dublin has lots of them on offer. The Dublin Food Co-op is open Wednesday to Sunday. Saturday is the best day for food, as it brings out all the artisan producers and handmade treats (and if I can have one brag about Ireland, it’s that we have fantastic quality ingredients and such amazing people who make the most of them!). Sundays have a different vibe, with varying events such as vintage fairs and international fusion week. My favourite is the flea market on the last Sunday of every month. If you’re lucky enough to be in Dublin in December, the flea has an amazing Christmas fair (in a different venue). Last year it had some really cracking art and design, and I got loads of my gift shopping done! Thanks so much for sharing, Sharon! I’m sure there are plenty of other Irish readers – what would you add? This could not be more timely! I’m going to Dublin for the first time next month, and Sarah, a lot of the reason why is because of you inspiring me to travel and explore more! I promise myself a visit to a new country every year, and am making a quick trip to Dublin to check Ireland off my list. Oh, that makes me so happy to hear! I find tipping so confusing too, in other countries and sometimes my own! I mentioned 10% as I feel that’s the standard amount, but whether you choose to tip or not is definitely up to you. It’s not very clear cut but I do think most people would tip for an evening meal, unless the service was bad. I would usually stick in a couple (literally 1 or 2) euro for brunch or lunch. I never tip, say, a hairdresser or bartender, but I know people who always do. It’s a minefield! I do think the economic landscape has changed a lot, where minimum wage isn’t enough to get by on and jobs are less secure, but I would hate to see a move to a more American model, where people are extremely reliant on tips. It’s not the solution! Also i love to have a look around the Powerscourt Centre and gaze at the antique jewellery (looking is free!) … Lots of good restaurants and bars in that area too and while you are there its only a short stroll to Georges Street Arcade. Also, you don’t have to tip unless it’s at dinner and service is not included which will be mentioned on the menu. Otherwise its totally discretionary. Completely agree with all these suggestions Lisa! Thank you for this guide! So many useful tips! I am saving it for when I visit Dublin!